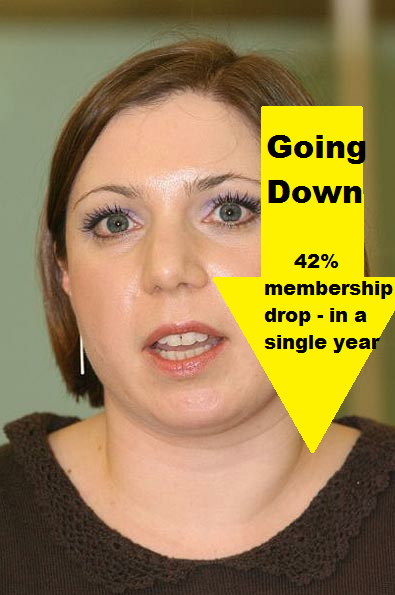 Membership for the Liberal Democrats in Brent has fallen by 42%. More than in any part of the country. This is in Education Minister Sarah Teather’s constituency. Indeed we have seen the actual effects of this in terms of campaign methods. The Liberals are nowhere to be seen in wards such as Dudden Hill with even their elected ‘serving’ Councillor living in Brighton. Instead, with a slump in activists and members they seem to be using their increase in income from huge donors (her Register of Interests shows that £33,000 has come to Sarah Teather since she became a Government Minister) to pay for mass leaflet campaigns. Leaflets such as this – LINK. They are even having to pay for deliverers. People I’ve spoken to in Dudden Hill who used to deliver for the Brent Liberal Democrats no longer want anything to do with them. Liberal activists that are left in the Party may justify their existence in the Party by consoling in the belief that the actions of their Party are Tory inspired. However, this is simply not true. This article points out that the Tories in Parliament are more rebellious than the Liberals! Posted on June 8, 2012 June 7, 2012 by Cllr Krupesh HiraniPosted in Brent, Liberal Democrats, Sarah TeatherTagged Brent, Brent Central, Brighton, Councillor, dudden hill, Lib Dem membership, Liberal, Liberal Democrat, Sarah Teather, Sarah Teather MP, Tory.